Everyone has their own way of getting into the Christmas spirit. For some, it might mean decorating the Christmas tree. For others, a stroll down Main Street and a night in decorating Christmas cookies will do the trick. 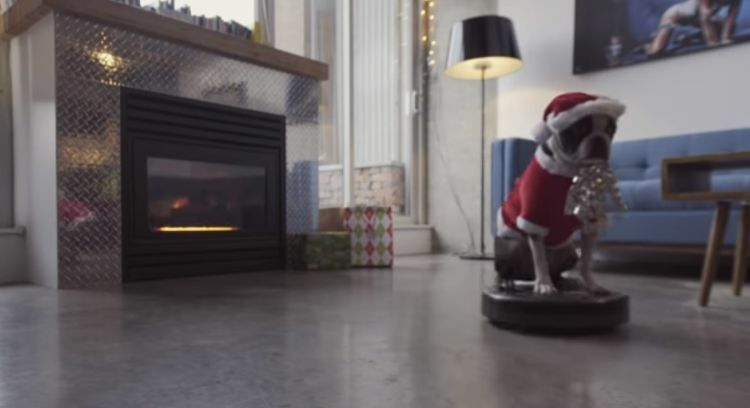 When you're a Boston Terrier named Five, the Christmas spirit means something a little bit different: Five takes a spin around the living room on a Roomba. And he does so while dressed as Santa Claus and listening to Christmas music, of course. What better way to welcome in Christmas than with your own Santa Paws? Five's outfit really is quite impressive, and he's both entertaining and cleaning the room simultaneously. All he's missing is a few reindeer and a big sack of gifts. Santa Paws doesn't look terribly thrilled with the arrangement. 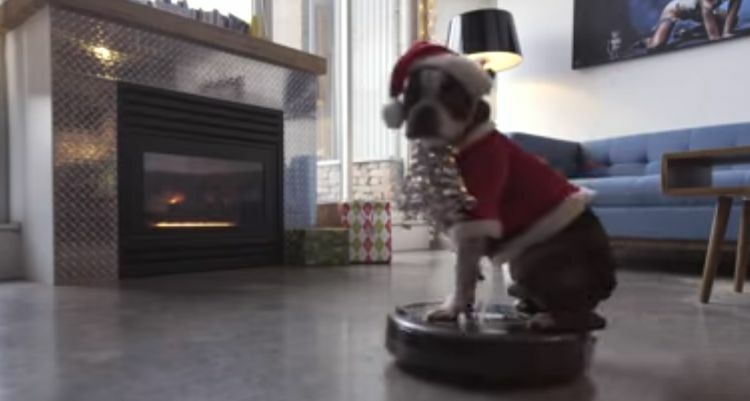 Still, he remains sitting on that Roomba as it stops, spins and motors its way across the room. 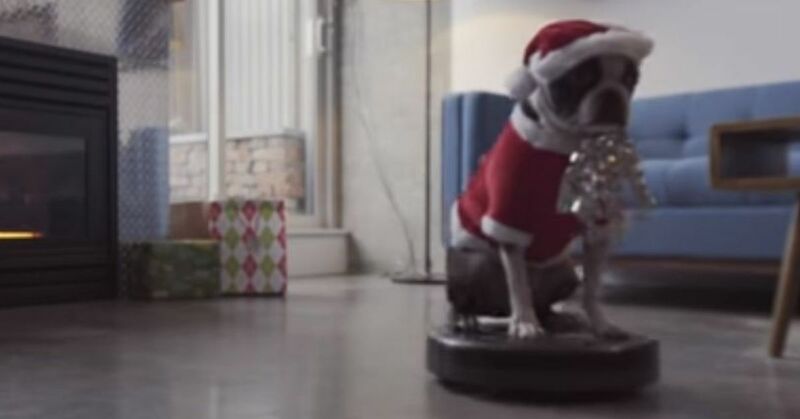 Take a look at Five's Christmas spirit in the video below.